The world’s best Overwatch players are ready to get back to business for the Overwatch League’s second season, beginning Feb. 14. This season brings big changes and even bigger rewards. It’s been six months since the London Spitfire were crowned the champions of Overwatch League’s inaugural season. In that time, eight expansion teams have been added to the league and prize pools have boomed. The entire prize pool for the 2019 season is $5 million, up from $3.5 million in 2018. With 188 players competing, there will be plenty of talent to keep an eye on this season. Here’s when, and where, to catch all the action. Beginning Feb. 14 at 6pm CT, Overwatch League games can be viewed on the official OWL site, the Overwatch League’s Twitch channel, and MLG.com. 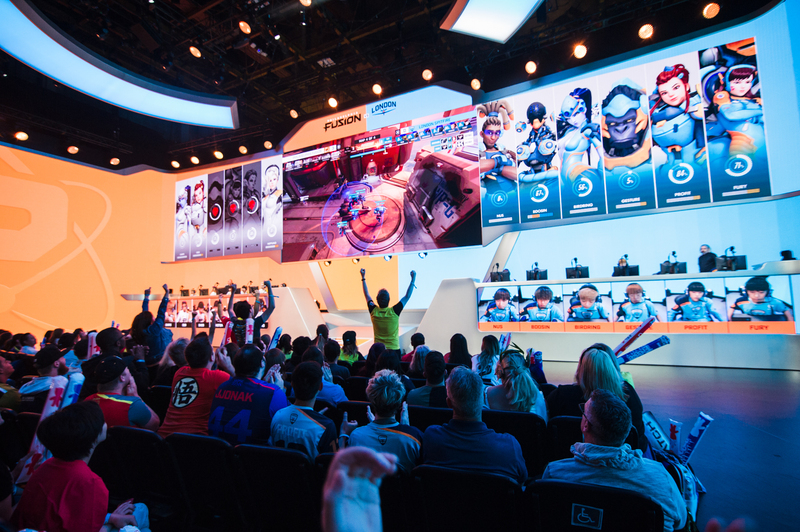 This year, the Overwatch League is continuing its partnership with ESPN and Disney to broadcast matches on cable TV. Disney XD will be airing three matches a week: the final match each Thursday (10:30pm CT) and the first two matches each Sunday (beginning 2pm CT). Full replays of matches will also be available on the ESPN app. The Overwatch League added eight new expansion teams during the offseason, bringing the total number of teams to 20 for this season. They are split between two divisions, Atlantic and Pacific. Each team will play a total of 28 games over the six-month OWL 2019 season, down from 40 games last season. Teams will have weeks in which they play two, one, or no games, giving players a chance to rest. The season is split into four five-week stages. After Stages 1, 2, and 3, Stage Finals will be held; the top team in each division will qualify as well as the six other highest-scoring teams, regardless of division. After Stage 4, the postseason begins. Both overall division winners automatically qualify as well as the next four highest scoring teams regardless of division. Teams coming in seventh to 12th place will duke it out for two additional playoff spots. At that point, the eight teams in the playoffs go down a double elimination bracket to decide the season’s champions. The league’s 20 teams are split into two divisions. Teams continuously play across division lines throughout the season; the organization exists to crown division champions for stage finals. The Atlantic Division includes four new expansion teams. The Pacific Division also includes four new expansion teams, three of which are based on Chinese cities. The Overwatch League will hold games four days a week, with 20 games taking place between Thursday and Sunday with some timing changes from last season. Thursday and Friday games begin at 6pm CT, while Saturday and Sunday games begin at 2pm CT, giving international viewers a better chance to catch the matches. Here is the full first week schedule for the Overwatch League.